The city of Southampton has been inhabited since the stone age if local archaeological finds are anything to go by, although it wasn’t until the Anglo-Saxon period that it became a larger settlement. Excavations in the Southampton area have turned up one of the best collections of Saxon artefacts in all of Europe. There is also evidence to suggest that there was a strong Viking presence in the area. 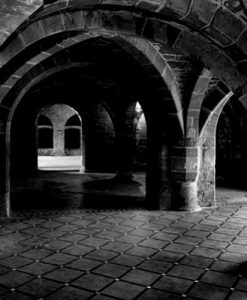 With so much history, it is no surprise that Southampton has a plethora of hauntings. 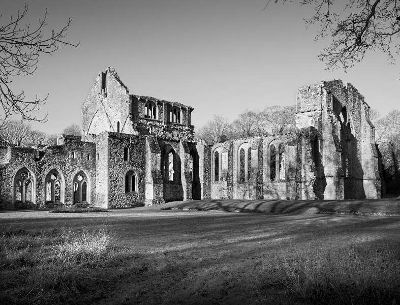 The ruins of Netley Abbey can be traced as far back as the medieval era, although much of the original stone was taken away after the abbey was abandoned to use in other building projects. However, what is left of the building is reputed to be haunted by the ghost of a monk who appears as a white apparition and a much darker spirit of the former abbot! 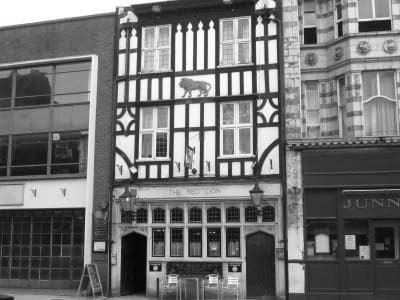 The Red Lion is somewhat iconic in Southampton for a variety of reasons, but its main claim to fame would be the fact that it was the location for the treason trial of the Southampton Plot Conspirators – Richard, Earl of Cambridge, Lord Scrope of Masham and Sir Thomas Grey of Heton. The trio are said to have plotted the death of Henry V in 1415 with a view to placing Edmund Mortimer, Fifth Earl of March on the throne in his place. However, the Earl denounced the plot and the men ended up being tried for treason. Having been found guilty they were led from the pub up the road to Bargate to meet their fate. To this day, numerous people have reported seeing a spectral procession of people leaving the pub! The building itself is very interesting given that it is cobbled together from various different time periods! The cellars are able to be traced as far back as 1148, while most of the main building is from the Tudor era, but the interior parts are as recent as the 1950’s. This mix of time periods means that there is plenty of opportunity for various different ghosts to have taken up residence. In fact, aside from the ghostly procession, there have also been reports of a lady in her sixties drifting through the bar area and the sound of heavy boots stomping through the cellars! There definitely seems to be a running theme with these Southampton ghosts – so many of them seem to make their home in pubs! 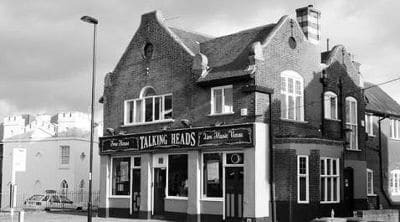 One of the city’s most historic pubs is the Talking Heads which is around 130 years old. The staff have reported a number of strange occurrences including the owner apparently being slapped across the face by some unseen force! One employ has claimed to see a lady in a white dress – or more accurately, he just saw the white dress, but not the person who was wearing it – in the corner of the cellar and he says that the beer gasoline markers were sometimes turned off when no-one had been in the cellar to do so! 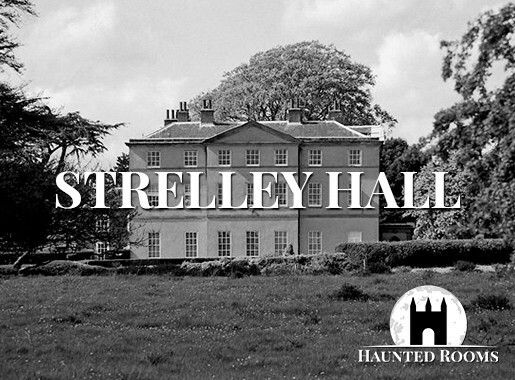 Another staff member has reported hearing strange noises and claims that the spirits will make noises on command if you ask them to! 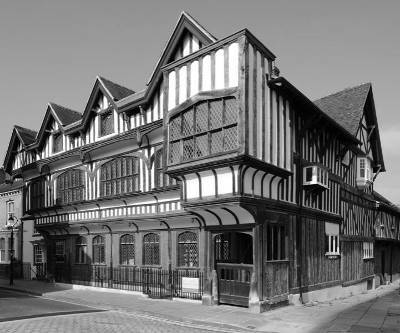 One of the most haunted places in Southampton is the Tudor House Museum, which is apparently haunted by a ghost who has a tendency to get bored easily! At least, that is what a psychic who was called in to check out the property concluded. You see, up until fairly recently the local police were regularly called to the property after neighbours would call them to report intruders because the lights would come on at night and shadows would be seen in the windows. However, no sign of anyone was ever found, at least not anyone living! As we already mentioned, a psychic was called in and determined that the spirit was getting up to mischief because it was bored with the afterlife! A ball was left in the building for the spirit to play with and since then, things have been a lot more peaceful at the Tudor House Museum! 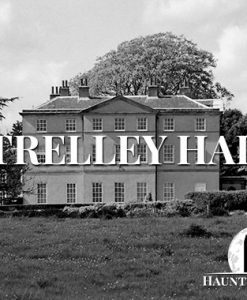 However, just because things have settled down a little bit, that does not by any stretch of the imagination mean that there is no paranormal activity in the building! The bored spirit may well have found a way to stay occupied, but there are others in the house too. 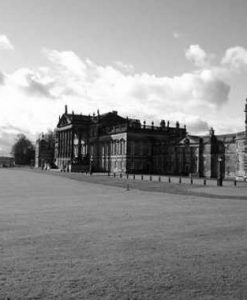 Visitors often report seeing spectral figures crossing rooms and walking through doors that have long since been bricked up! A paranormal investigation team also managed to capture someone sitting in a chair using their thermal imaging camera. Southampton’s Station Pub has been extensively remodelled over the years, so the lay out is quite different to what it once was. This means that some of the reported ghosts show up in odd places! For example, one regular who would always sit right at the end of the bar is said to still sit in her usual spot, only now since the remodel that spot is now located in the ladies toilets! Sometimes when customers use the bathroom they report being tapped on the shoulder, but when thy turn around nobody is there! This is by no means the only paranormal activity that has been recorded at The Station Pub. The on site CCTV cameras have actually managed to record the image of a ghostly man standing underneath a wall light close to the snooker table as though keeping watch over the bar during the night. One of the previous landlady’s has also said that she has heard a man whistling in the gent’s toilets after closing when no-one else was in the building! She has also seen plates move off of the racks in the kitchen and smash on the floor. The cellar is also a hub of unexplained phenomena! It is divided into two parts, the smaller section is essentially the boiler room and it is used to store seasonal items like Christmas décor. The door to this room is permanently wedged open. The reason being that when it is closed the contents of the room get thrown all over the place. Staff have resigned themselves to the fact that it is easier to just leave the door open instead of having to clean up the mess every morning. We don’t blame them! With so much activity, The Station Pub is definitely a must see stop on any tour of haunted Southampton! 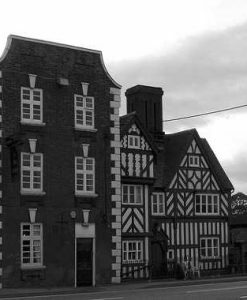 The Brushmakers Arms gets its name from the building’s former life as a brush-making factory. One of the Southampton ghosts who is said to haunt the property is Mr Chickett. It is believed that Mr Chickett was a travelling brush salesman, although some accounts describe him as either the innkeeper or coach keeper. Whoever he was, he regularly stayed in the upper front bedroom. The rumour is that he would sleep each night with his money tucked beneath his pillow and it was this that led to his death. One morning Mr Chickett was discovered in bed with his throat slit and his money missing! It seems that the man has stuck around and is often reported by guests who have seen his spirit searching for not only his missing money, but also his murderer. Mr Chickett is certainly not the only ghost that calls The Brushmakers Arms home! One of the former landlords of the pub was found hanged in the cellar and the current landlord insists that the man is still hanging around. He apparently hangs out in the cellar moving the empty beer barrels around, as if trying to earn his keep! 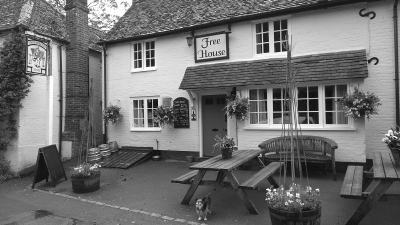 It is thought that he might be responsible for poltergeist activity elsewhere in the pub, although this could very well be a third spirit. When the upper floor of the pub underwent extensive renovations recently it seemed to cause some major disturbance in terms of the resident ghosts! The wardrobe doors kept springing open, new mirrors developed cracks and when replaced with new ones the same cracks would appear in those too, battery operated toys turned on in the middle of the night and a cat ornament in the lounge was turned to face the wall every night! There were also small items that would go missing for several weeks at a time before reappearing where they were originally placed! 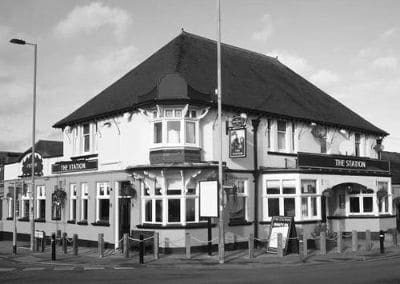 All of this paranormal activity makes The Brushmakers Arms one of the most haunted places in Southampton.